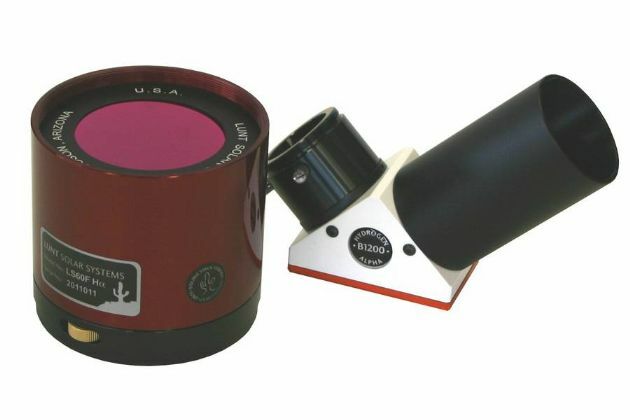 The LS60 Hydrogen-alpha filter system with 60mm aperture (no central obstruction) integrally tuned etalon for use on any refractor and many other telescopes. Because the LS60FHa has an estimated bandwidth of <0.7 Angstrom it is capable to providing high contrast views of both surface and edge detail. Adding an additional available Double-Stack etalon system will reduce the bandwidth to ~<0.5 Angstrom.